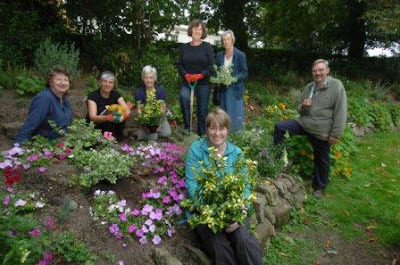 In October 2006, having already tackled Packington Place off High Street (see http://www.leamingtoninbloom.co.uk/?p=1058), GALS began work at the Dell following a suggestion from a local Councillor, Bill Gifford, and with the support of Warwick District Council and Friends of the Dell. 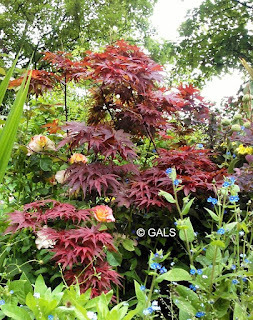 The Dell had been a park for a number of years and was a small oasis in the middle of the busy town, but it had become intimidating, neglected, and was overgrown with bindweed, brambles and snowberries. 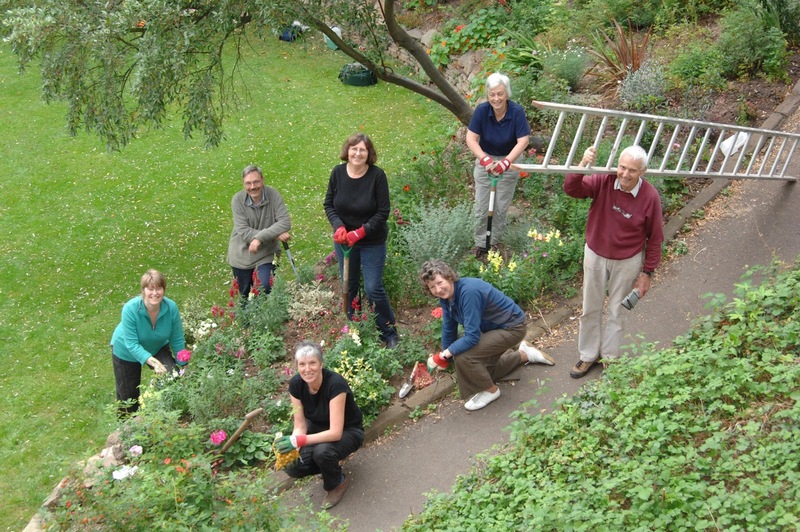 WDC's resources were limited and they were not able to provide extra help to clear and replant the Dell. 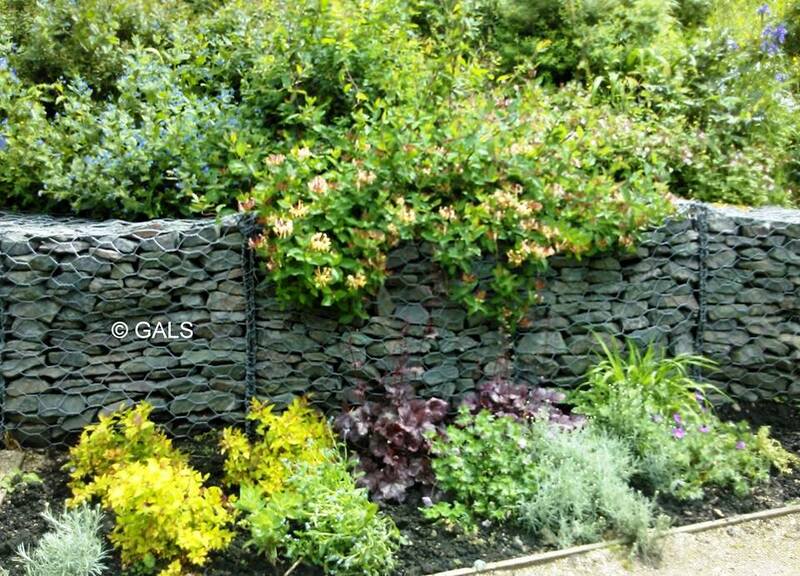 GALS stepped in to start the work, raising funds where necessary and welcoming donated plants. They have maintained the gardens continuously from 2006 to date and in 2012 were honoured with the Queen's Award For Volunteer Groups for their work here and at other places in the town. The original GALS with Friends of the Dell Margaret Watkins (top right) and Bill Gifford. 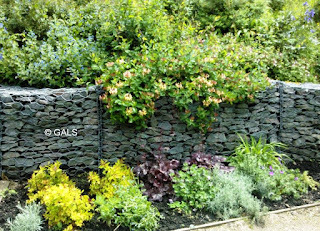 Go to http://www.leamingtoninbloom.co.uk/?p=1303 for the latest report on the GALS' work in the Dell and some impressive pictures. 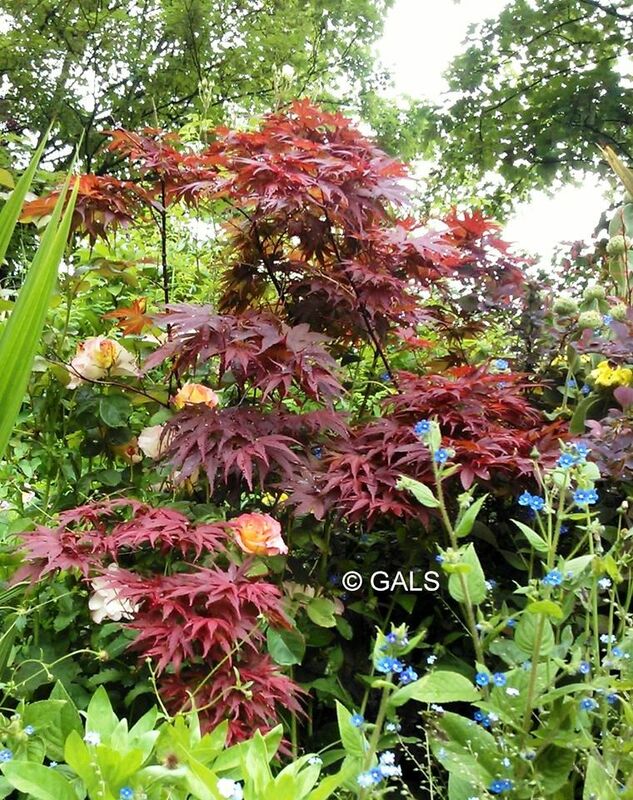 I love and really appreciate your gardening! So many blooms and structure, lots of busy insects. Well done and thank you. 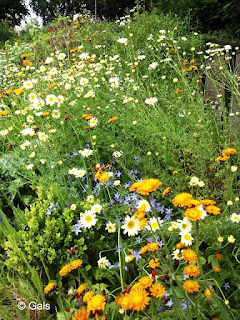 I'd like to organise a bumblebee identification workshop here this summer, could someone contact me about that please? Thank you.